I love these Advent Calendars. They are such a great idea instead of a chocolate one which is gone so quickly. I had a Treasure Island one last year and loved it too. There are different themed ones, each with 24 windows with a Playmobil piece inside. 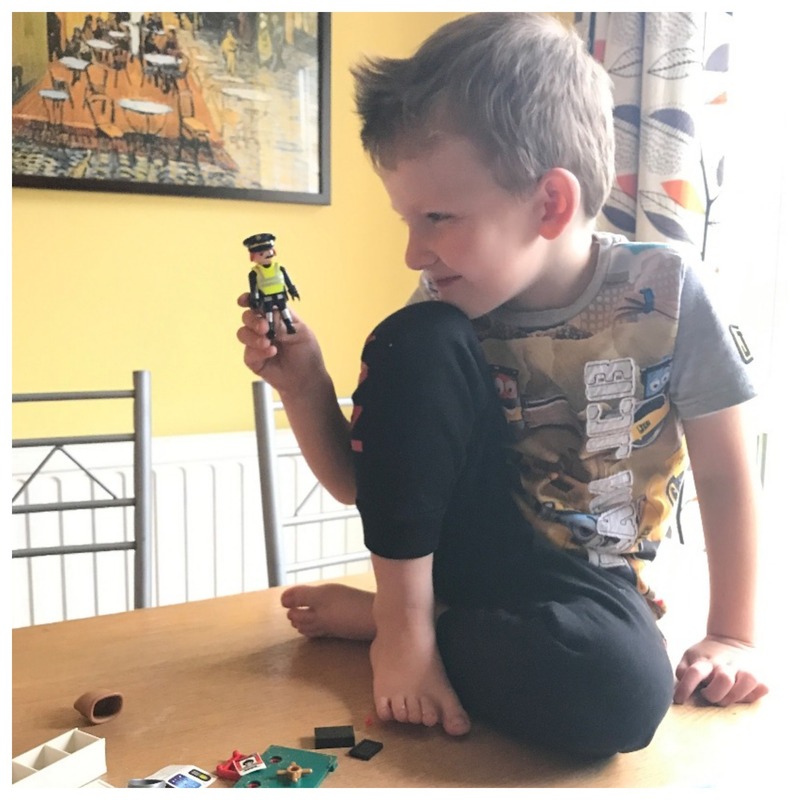 All the pieces make up a fab play set when complete. 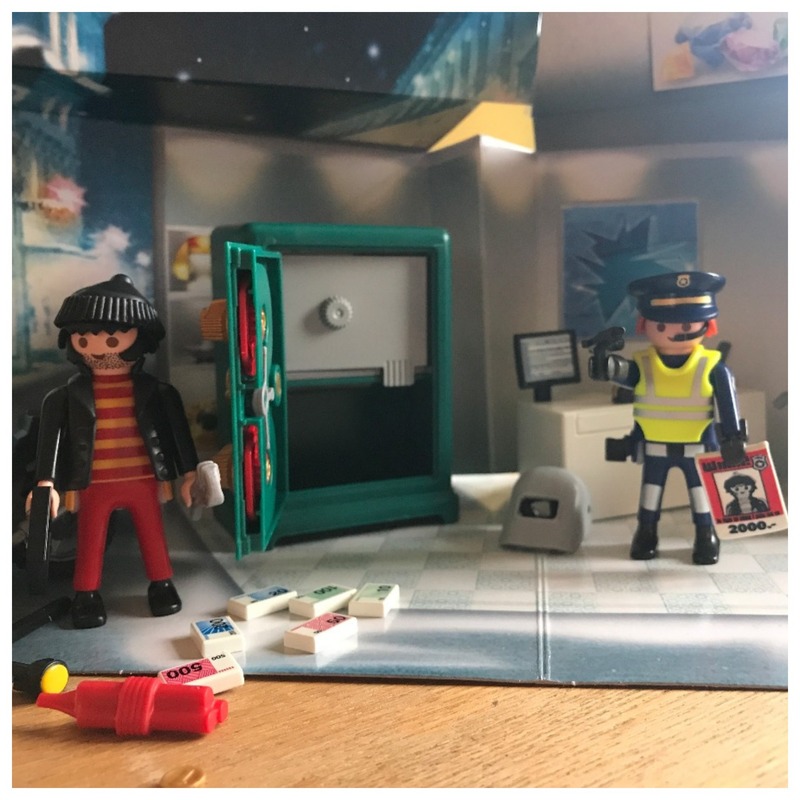 The Playmobil comes with a card playset backdrop too. 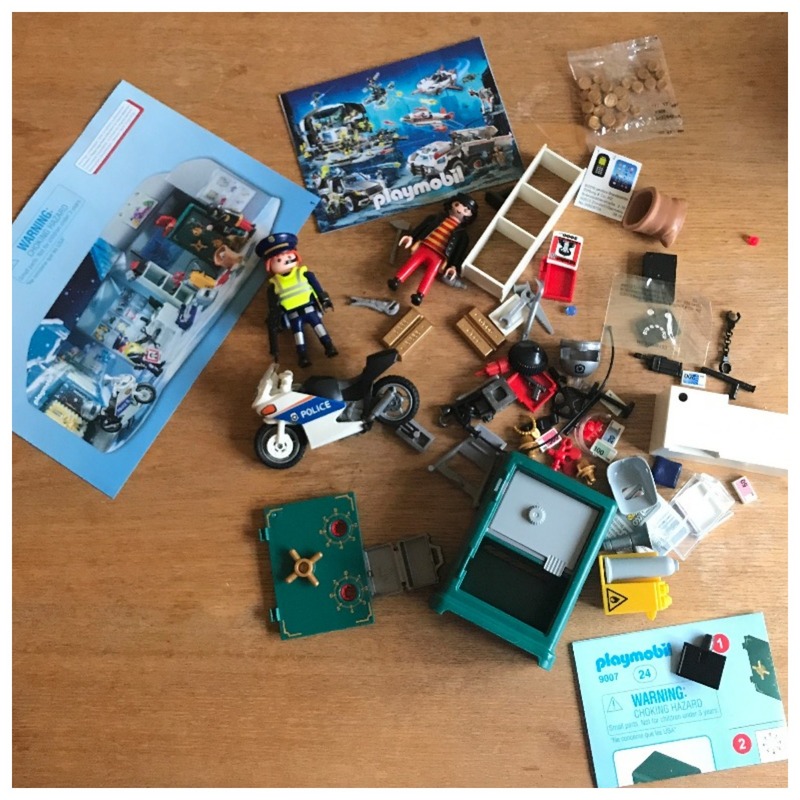 I had set 9007 – Advent Calender Jewel Thief Police Operation which features a safe with a working combination lock and money box function, a police guy, a robber, a police motorbike and loads of other pieces to play with. 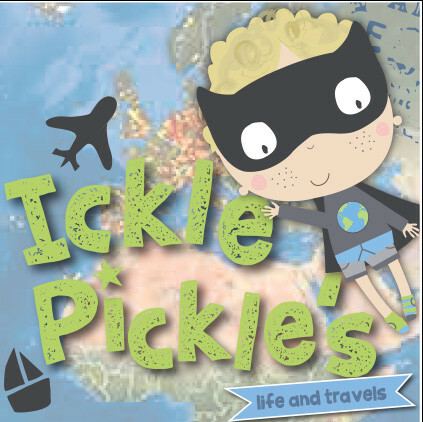 It is £19.99 and is suitable for children aged 5+ They have a good range of other ones including Christmas on the Farm, Royal Ice Skating Trip and Treasure Island. 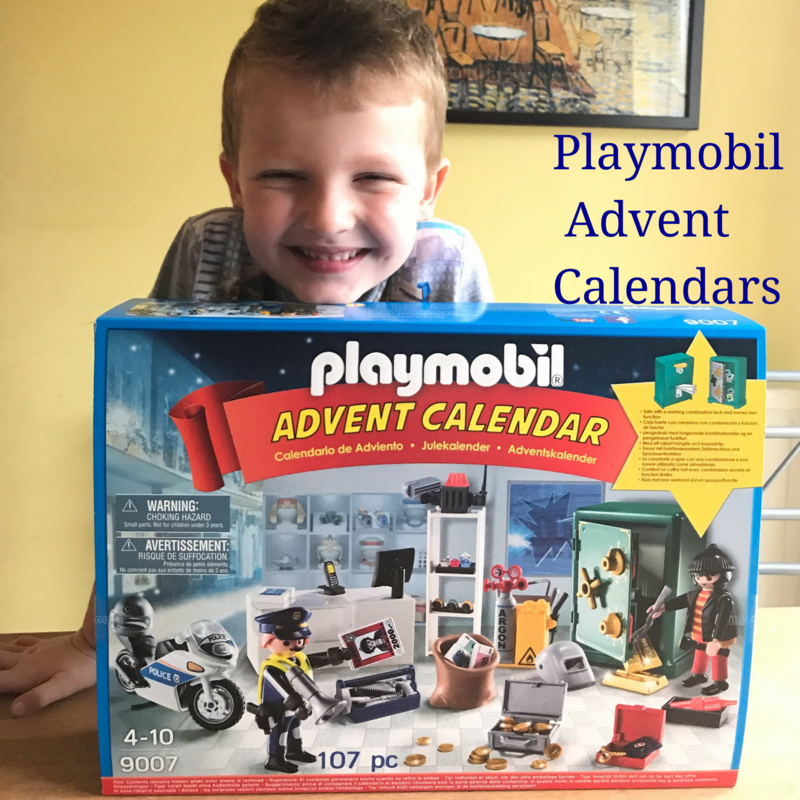 For the full range of Playmobil Advent Calendars as well as other Christmas ranges and sets, pop over to the website. 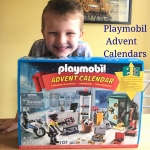 We were sent this Playmobil Advent Calendar in exchange for our honest review. Aww Playmobil are classic toys! These looks like a fantastic advent calendar, and not too expensive considering how much is in it! That is sort of sad to me seeing the policeman actually carrying a gun. It was one of the coolest things about Great Britain,the bobbies never carried guns,a special unit was only one allowed too. 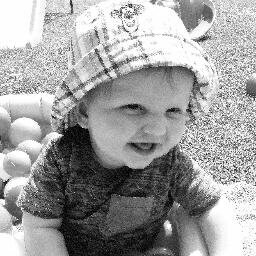 Times have sure changed and its reflected in the toys…. He looks so excited to open it! 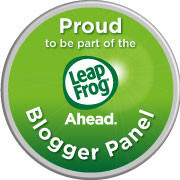 Thanks for the look inside – this will be great for my son! 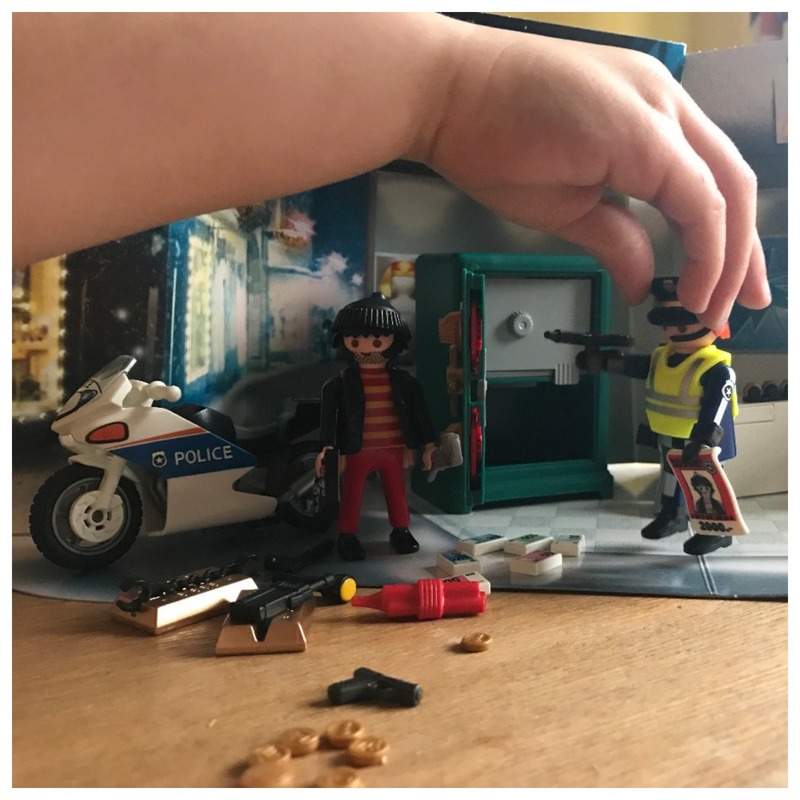 We love Playmobil in our house! 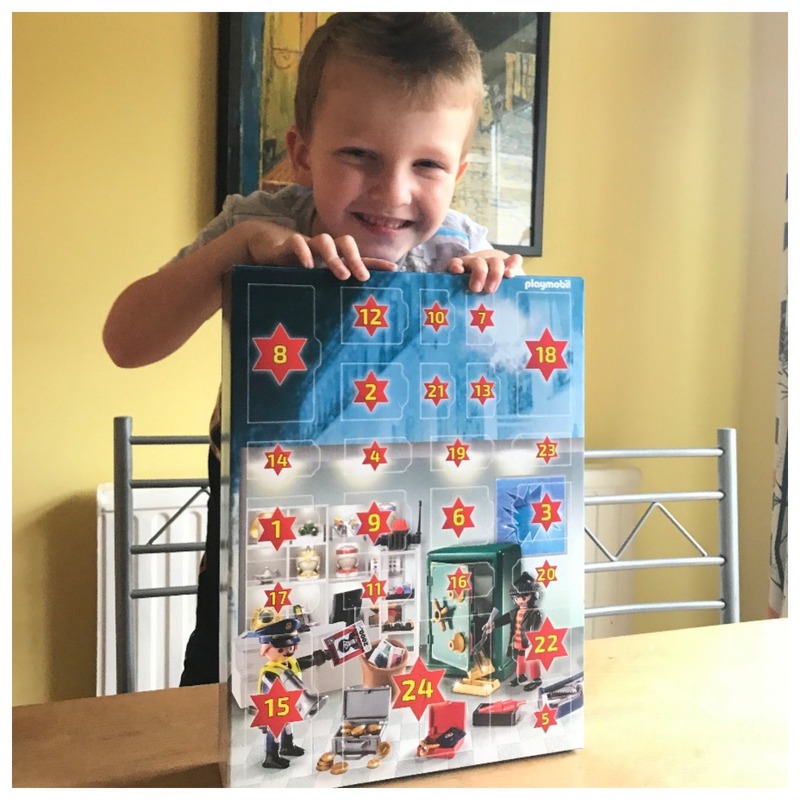 We tried one of the advent calendars a few years ago when my eldest was 4 and it was great.